One of the fairies from this package was used in the scene above. and didn’t save that version. A closeup of one of the bounty faes resized 50%. The orange and red sunflowers are particularly enticing. Splendid autumn fairies in celebration of fall, the most beautiful season. 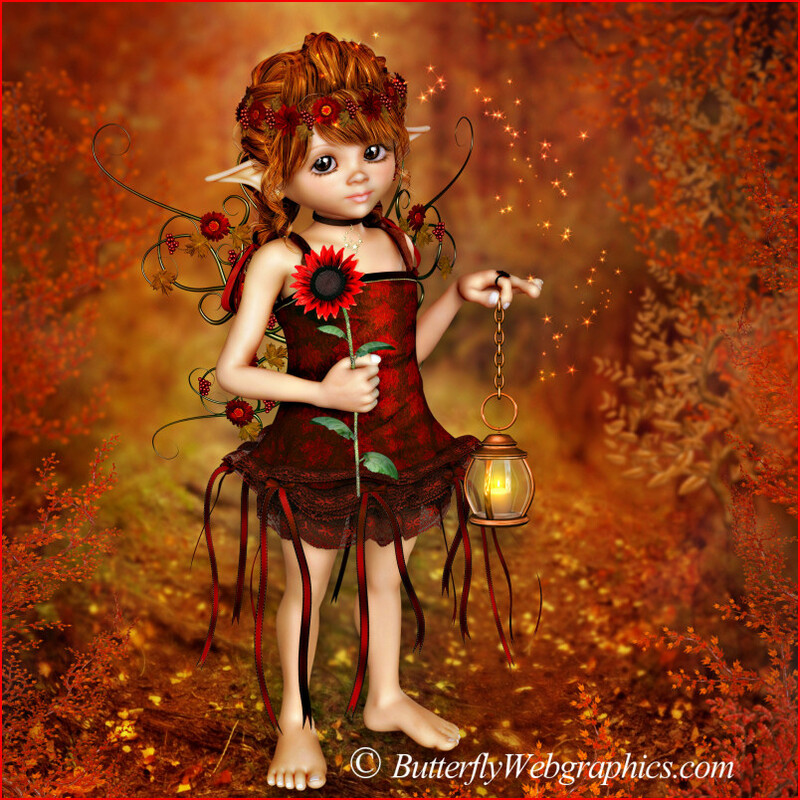 An unforgettable fairy to bring the light and warmth of autumn to your designs. Some unforgettable fairies for your fall designs. Celebrate a bountiful season with these vivid, little faes. 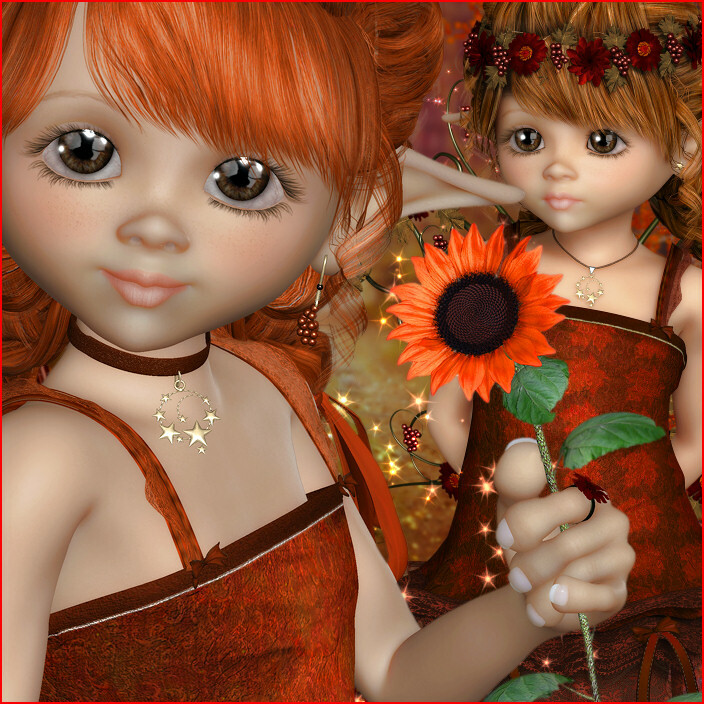 In hot orange, autumn brown, and blazing scarlet, these young fairies practically exude a welcoming warmth that will light up your designs with fall fairy magic Some of them hold blazing sunflowers in orange and scarlet in their chubby hands. They are fairy but elven as well, which shows in their features, including their long ears. Some of them wear crowns of cranberries and autumn flowers. Great for fall, Thanksgiving, and other harvest design themes. An ethnic version of each Bounty fae is included. I’ve also thrown in a few vivid sunflowers and wings. The size of these fairies varies, they are approximately 1400 X 2200+ pixels. All are 300 DPI, making them great for print projects. This package is three zip files, which are approximately 24-29 MB each.